Birmingham Repertory Theatre is thrilled to announce that Sean Foley will become the theatre’s new Artistic Director, Amit Sharma will be Deputy Artistic Director, and Rachael Thomas will become Executive Director. Sean Foley is an award-winning actor, writer and director. He co-founded The Right Size, creating many original comedies and touring nationally and throughout the world. He is a double Olivier Award-winner for co-writing and starring in The Play What I Wrote - also Tony nominated - and Do You Come Here Often? He directed the Olivier Award-winning Jeeves and Wooster in Perfect Nonsense, and has also directed, co-written or starred in many further Olivier Award-nominated productions, including The Ladykillers, Ducktastic, Arturo Brachetti: Change, and The Miser. He has worked extensively with many leading actors, writers and comedians, and is one of the very few people to have received Olivier nominations as an actor, a writer, and as a director. Other directing credits include The Painkiller starring Kenneth Branagh and Rob Brydon; I Can’t Sing starring Cynthia Erivo; and The Walworth Farce starring Brendan, Domhnall, and Briain Gleeson. His film directing credits include Mindhorn starring Julian Barrett and Steve Coogan; TV includes Marilyn Monroe and Billy Wilder, starring Gemma Arterton, and One Normal Night - both for Sky Arts. “Birmingham Repertory Theatre’s history as one of the most important theatres in the country is inspiring. Birmingham itself has always had an exceptional level of creativity and innovation, and has a unique and world-class cultural ecology. I’m tremendously honoured to be invited to contribute to that, and to have been appointed Artistic Director at this ground-breaking theatre. “The UK’s ‘Second City’ is full of amazing people: as one of the most multicultural cities in Britain, its stories are specific, but also universal. I’m British, but also half Irish, half Brummie, and am excited to be returning to work in the city having grown up in its suburbs. Amit Sharma has been Associate Director at Graeae Theatre Company since 2011 and also Associate Artistic Director at the Royal Exchange, Manchester from 2017-2019. For Graeae, Amit directed the world première of Jack Thorne’s The Solid Life of Sugar Water – a hit of the 2015 Edinburgh Fringe Festival, Cosmic Scallies at the Royal Exchange, and The Iron Man which toured nationally and internationally. Also for Graeae, Amit has co-directed the outdoor spectacle Prometheus Awakes and Sequins and Snowballs. In Autumn 2019, Amit will direct a new version of Winsome Pinnock’s One Under for a UK tour. Amit has extensive experience in creating opportunities for artists - he led Graeae’s flagship UK-wide new writing programme, Write to Play and developed many opportunities for D/deaf and disabled artists while at the Royal Exchange. “We’re delighted to welcome Sean Foley as Artistic Director and Rachael Thomas as Executive Director of Birmingham Repertory Theatre. We’re also particularly pleased to welcome Amit Sharma as Deputy Artistic Director. As a graduate of the Arts Council’s Changemakers scheme, which offers support to disabled and Black and minority ethnic leaders offering experience, knowledge and skills within organisations to take the next step into senior leadership positions, it’s fantastic to see Amit’s journey continue. We look forward to seeing Sean, Rachael and Amit’s combined wealth of experience, ambition, passion and creativity drive the theatre on to future success. “Tribute must, of course, be paid to Stuart Rogers and Roxana Silbert, as they leave The REP having worked there for a staggering 24 years between them. During this time they have successfully developed the audience, programme and artistic community for the theatre, focusing on The REP’s central commitment to the diversity of Birmingham. They have built a thriving theatre, despite the challenging economic times. 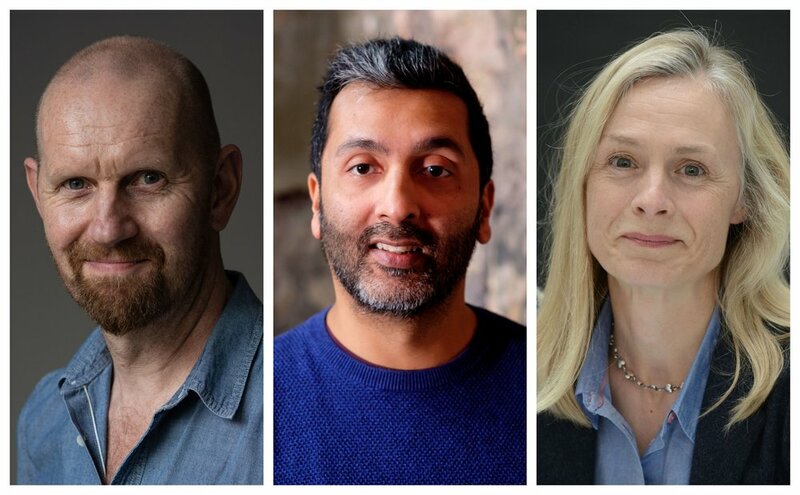 Sean Foley, Amit Sharma and Rachael Thomas will take up their posts in Spring / Summer 2019 with their first season of work starting in 2020. They take over from The REP’s current Artistic Director, Roxana Silbert and Executive Director, Stuart Rogers who leave later this year.